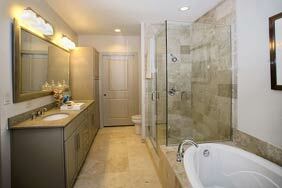 Enter a street address or mls# to search all Houston area listings for sale or lease. 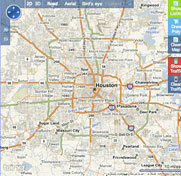 Using the map, you can draw a shape around the area of Houston you are interested in searching. The result is a list of available properties. You can further refine your search options to narrow the focus of the results. Click the map to get started. The custom search allows you to specify features you are looking for in your new home -- including how many bedrooms and baths, fenced yard or not, golf course property, etc. Sandra Gunn found her match made in business heaven with Bill Baldwin in February 2010. Bill, a consistent member of the Top 25 Realtors list by Houston Business Journal, purchased Karen Derr and Associates in 2009. Together Sandra, Bill and Karen have rebranded their firms as Boulevard Realty. With offices in the Rice Village at 4408 Morningside and in the Heights at 1645 Heights Boulevard, a team of 57 agents, tremendous support staff and decades of professional marketing expertise; Sandra Gunn Properties now known as Boulevard Realty is poised to continue their growth in the Houston real estate markets. Click HERE for some Useful Links. Confused About Real Estate Terms? 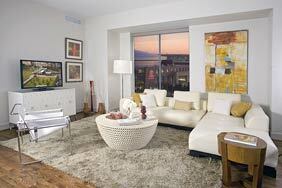 Find Definitions and Answers in our Real Estate Glossary or Mortgage Glossary. Texas Real Estate Brokers and Salespersons are licensed and regulated by the TEXAS REAL ESTATE COMMISSION (TREC). If you have a question or complaint regarding a real estate licensee, you should contact TREC at P.O. 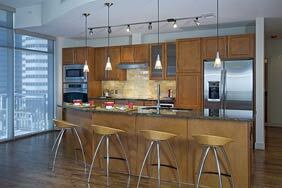 Box 12188, Austin, TX 78711-2188 or -465-3960. You can also view the Texas Administrative Code. Regarded as an expert of Houston real estate by her peers, previous clients and the media such as the Houston Chronicle, Houston Business Journal, 002 Magazine, KHOU - Channel 11, KRPC - Channel 2, New York Times, Hollywood Reporter, HGTV - Lofty Ideas, Better Homes and Gardens and more, Sandra and her team of professionals are available to assist Houston real estate buyers, Houston real estate sellers, Houston real estate developers and those looking at the Houston real estate rental market. Houston real estate specialty markets include new construction homes in West University, Southgate and the Medical Center areas; historic homes including Houston Heights, Montrose, Southampton and Boulevard Oaks; urban high density areas including Downtown, Midtown, Rice Military, Washington Avenue corridor, Museum District, Uptown Park and the Galleria; as well as all the Houston high-rise and rental buildings. 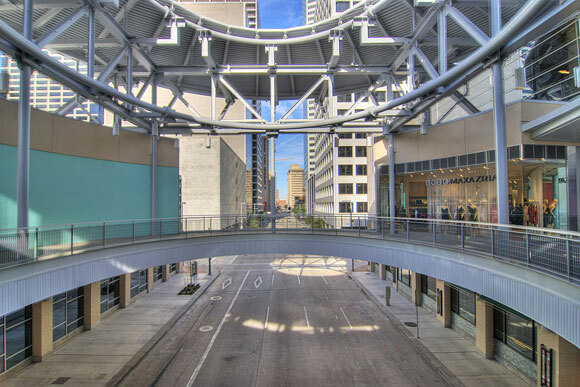 She is an expert in all Houston loft buildings including St. Germain Lofts, Capitol Lofts, Kirby Lofts, Hermann Lofts, Rice Lofts, Bayou Houston Lofts, Empire Lofts, Franklin Lofts, Gotham Lofts, Stanford Lofts, Il Palazzo Lofts, Live Oak Lofts, Metropolis Lofts, Renoir Lofts, Washington Lofts, Manhattan Lofts, The RISE Lofts, Keystone Lofts and Paramount Lofts. She continually ranks year after year in HAR's Top Producer Realtor list out of all 25,000+ members. Join us on Facebook to receive updates as they happen. 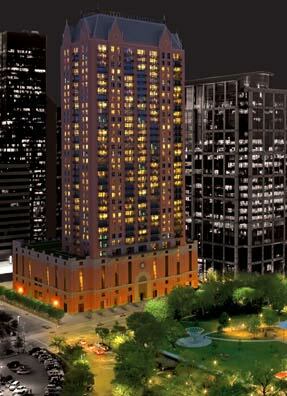 One Park Place is a new high-rise luxury apartment residence development ideally situated overlooking Downtown Houston's new park, Discovery Green. Rising 37 stories with 347 units on 30 residential floors, One Park Place is reminiscent of the historic structures that architecturally define Central Park in New York City, and other great urban park spaces in Boston, Chicago, and San Francisco! 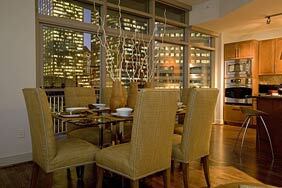 Distinct architecture & unparalleled location make this a premier residence for luxury living! 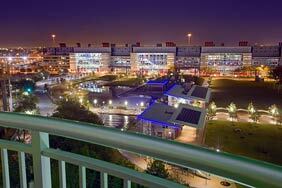 Close to many urban amenities including the Museum District, Texas Medical Center, Reliant Park, the Toyota Center, Minute Maid Park, Four Seasons Hotel, the Park Shops at Houston Center, and so much more! Ask us about the Sandra Gunn Special! Because we are a preferred vendor at One Park Place, our customers can get amazing deals but shhh…it is only for our customers. We have to register you (so email us!) and then you have to write our name on your guest card and the application to qualify. 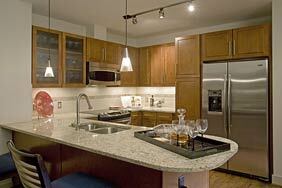 Please call 713-224-2777 for additional information or to schedule a tour! 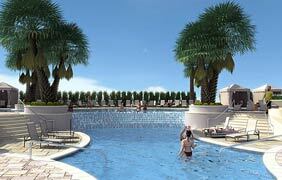 Please call Sandra at 713-224-2777 for additional information or to schedule a tour! Current availability changes daily. 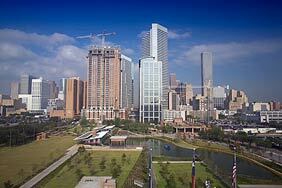 On April 13th 2008, Downtown Houston saw the opening of a new park appropriately named Discovery Green. 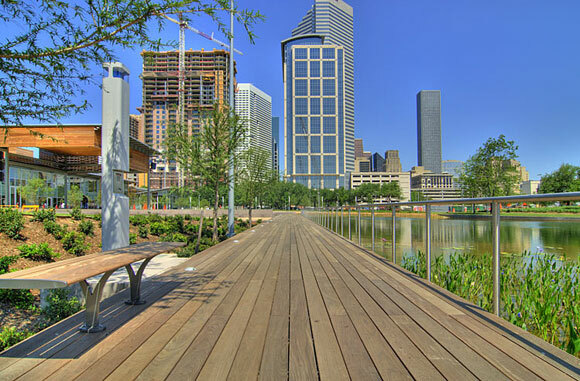 Covering 12 acres of Downtown Houston, the park features Kinder Lake, two restaurants (The Lake House and The Grove) and a multitude of gardens and sprawling green lawns and hills.